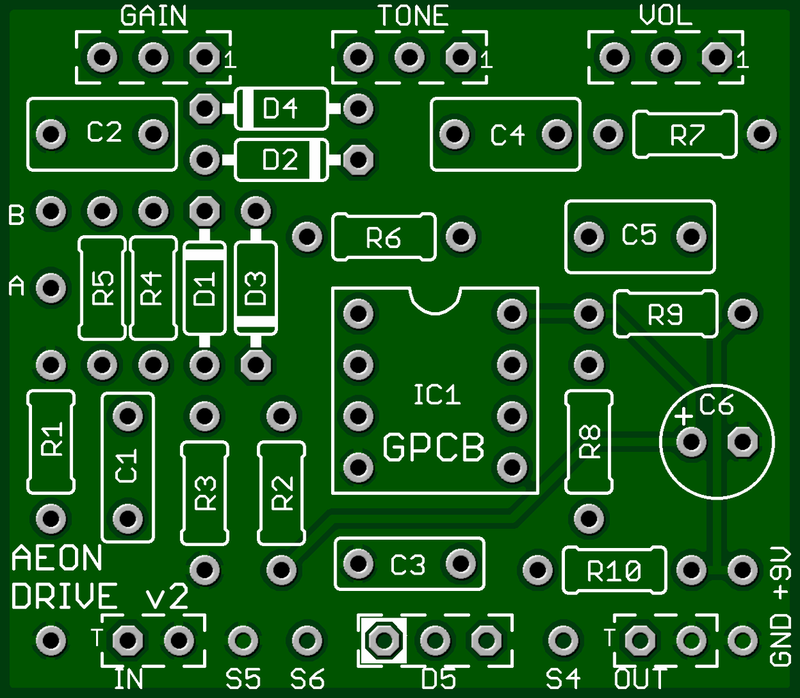 This kit includes all of the parts needed to build the GuitarPCB Aeon Overdrive project. While this circuit is based off of a stripped down version of the Tubescreamer™, it just sounds good compared to many of the variants of this circuit. You may find some similarities found to an Eternity™ or other Tubescreamer style pedal projects but this is not a clone. This kit ships with Blue Davies 1510-Style knobs and can be ordered with either a 125B or 1590B enclosure. The 125B is recommended for beginners. Tubescreamer™ is a trademark of Ibanez®. Eternity™ is a trademark of LovePedal LLC®. Pedal Parts and Kits is not associated with and makes no claims to these trademarks. See our FAQ for more details.